The Patriots best edge defender is set to become a free agent, and could command quite the contract. 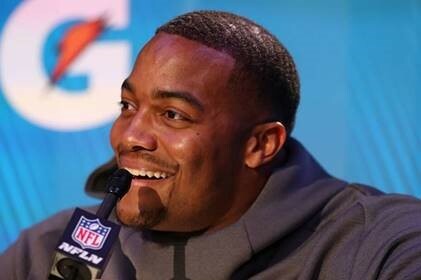 As free agency opens in little over a month, the Patriots will have some decisions to make, starting with defensive end Trey Flowers. Since selecting the 6-foot-2, 265 pound end in the fourth round of the 2015 NFL Draft, Flowers has become one of the best edge defenders in the entire league. After playing only one game his rookie year, Flowers has started 37 games for New England over the last three seasons, piling up 21 career sacks and clearly becoming a vital piece for their defense. But when looking at Flowers, one must view more than just his sack total. Flowers has become one of the best run defenders in the entire NFL and has piled up 136 disruptions (17 sacks, 57 QB hits, 62 pressures) over the past two seasons, which is nearly twice as many as the next closest Patriot (Kyle Van Noy with 69). Then in the playoffs, he seems to come up big time and time again. Like in Super Bowl LI, when a fourth quarter sack bumped Matt Ryan and the Falcons out of field goal position, allowing Tom Brady to get the ball back down seven. You know what happened next. And Flowers seems to just keep getting better. According to Pro Football Focus, Flowers’ 2018 season grade of 89.7 ended as the sixth best edge defender in the league. Now its decision time for the Patriots, who have been shy to give out big chunks of money to dominant pass rushers in the past like Richard Seymour and Chandler Jones, opting to deal them away. Granted Seymour and Jones didn't make quite the contribution in the run game like Flowers, something Belichick adores. New England currently sits just under $20 million in cap room before making cuts, which would make franchising Flowers at $17.143 million difficult. If New England is lucky, the two sides will work a deal out before he reaches the open market, where he would be a hot commodity as pass rushers like DeMarcus Lawrence, Jadeveon Clowney, Frank Clark, etc. are expected to see the franchise tag. If Flowers does reach free agency, he could earn up to the five year, $85 million deal Olivier Vernon signed with the New York Giants back in 2016. Over the Cap and Pro Football Focu srecently projected Flowers to earn slightly below that contract, inking a five year, $80 million deal, with $50 million in guarantees. Assuming that New England and Flowers can reach a deal, New England likely would lose out on free agent tackle Trent Brown. Brown is expected to fetch a deal near $10 million annually after a successful first year with the Patriots. But if Flowers does depart New England, perhaps joining former defensive play callers Brian Flores in Miami or Matt Patricia in Detroit, the Patriots would be left with a gaping hole in the defensive line. Currently with 12 picks in this year’s draft, perhaps New England selects multiple ends or moves up to replace Flowers, or they bank on the improvement of young roster players such as Keionta Davis or Derek Rivers. The Patriots could also try to lure a top defensive lineman in free agency to Foxboro as a replacement, or sign a veteran who fits their scheme to a smaller contract like they did last offseason with Adrian Clayborn (two year, $10 million deal). The NFL free agency period officially opens on March 13th at 4:00 p.m. EST, while the franchise tag must be designated prior to the 4:00 p.m. EST March 5th deadline.